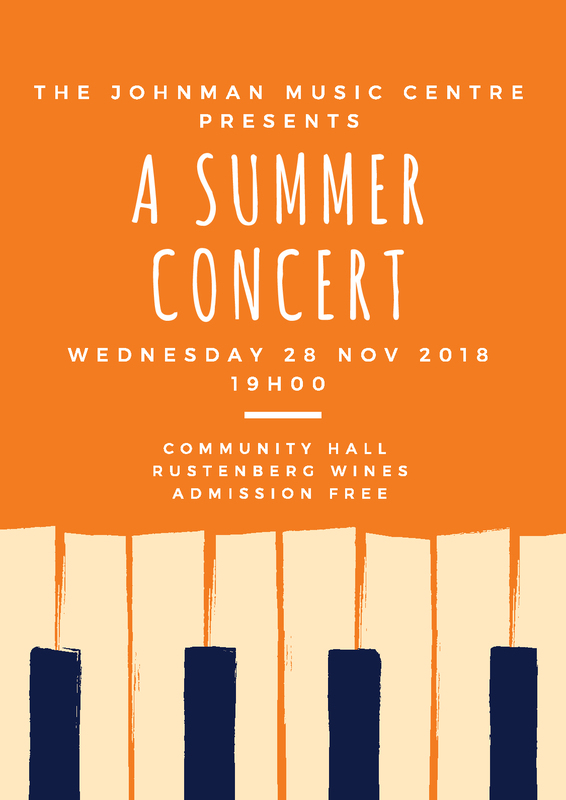 The Annual Concert will take place on 28 November 2018 at 19h00 at the Community Hall on Rustenberg Wines, in Stellenbosch. Every pupil at the Johnman gets the opportunity to perform either individually or in smaller groups. Parents, siblings, grandparents and friends are welcome at the concert and we end the year’s hard work on a high note with wonderful music, homemade eats and a glass of Rustenberg wine!